FIELDWORKS Season Two screening at BRIC in Brooklyn, followed by a Q&A with filmmakers Rafael Salazar and Ava Wiland of RAVA Films, in conversation with artist Paul Ramírez Jonas, May 2017. 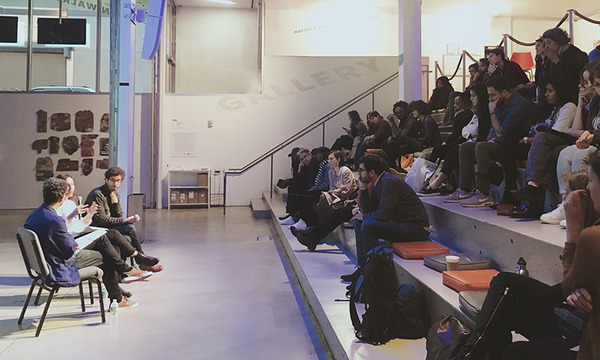 Our Public Programs foster community-building dialogue through scholarly panel discussions and participatory experiences that are inclusive and instructive to artists, art professionals, activists, and the general public. We invite you to be part of the conversation by making a fully tax-deductible gift to our Spring Fundraiser! With a contribution of $250 or more, you are invited to join us at the Guggenheim Museum on Tuesday, June 27th for a private curator-led tour of the featured installation of …circle through New York, a city-wide project commissioned as part of the Guggenheim Social Practice initiative.